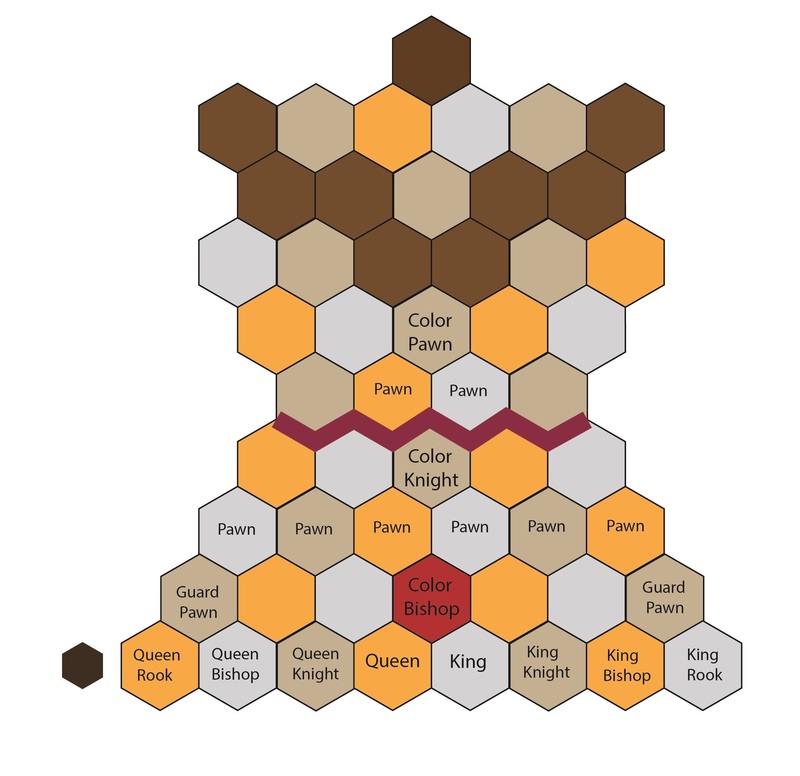 ImmortalStarMasters has a third bishop (due to the nature of the hexagon matrix) which is placed on the territory's "Color Hexagon" (this "Sovereign Bishop" is the only Bishop which can occupy the center hexagon of the board unless a player opts for another Sovereign Bishop upon promotion of a correctly placed Pawn). ImmortalStarMasters also has a third (Sovereign) Knight, which is placed directly in front of the Sovereign Bishop. Three additional pawns are placed directly in front of the Sovereign Knight. Copyright: 1984 - 2019 Ronald D. Planesi, All Rights Reserved.